Free bonuses and everything you need to know to deliver an outstanding speech! Get a Premium Upgrade to lay your hands on 10 Ready to use professionally written Groom Templates along with ALL this material. These additional speech templates require ONLY A SIMPLE NAME CHANGE and CAN BE USED EXACTLY AS THEY ARE. With these templates in your hand you really don’t have to write your speech. These 10 outsanding speech templates will literally make speech writing a cake walk for you. Yes a real cake walk! The speech templates are very entertaining, have all the components of a terrific speech and can be used as they are with very minor or no changes at all. With such perfect speech templates you save immense amount of time and energy and yet deliver a meaningful, heart-warming and witty speech! You will get instant access to Premium Groom Speech Pack only for an extra $19.95 $9.95. This is a SPECIAL ONE TIME OFFER for you. Yes John I want an Upgrade to Premium Groom Speech Pack and Save! I understand that by getting an Upgrade to the Premium Groom Speech Pack I will instantly get, along with all the other material, 10 additional Groom Speech Templates. These templates require only a simple name change and can be used exactly as they are. Thus saving me lot of valuable time. Okay, I don’t want to miss this opportunity. I’ll take this. Here’s an Ultimate Deal for You!!! For a Very Limited Period We are offering A Combined Premium Speech Package. Now this is a great opportunity for you as you can use these speech packages ALL YOUR LIFE for any role that you need to play in a wedding. Also you can gift these speech packages to your family and friends helping them to come up with their own Outstanding Wedding Speech. You can Effortlessly Download all this Information and Can Easily Send it to Your Family and Friends with Just One Click. Normally all these 8 Packages will Cost you a Total of $240. Imagine being completely worry-free about wedding speeches all your life. Also your family and friends will be very grateful if you gift them with this EXCLUSIVE AND USEFUL SPEECH PACKAGE!! The only disadvantage is this is a limited period offer. So You Must HURRY! Okay, I don’t want to miss this opportunity. I’ll take this and get hold of all this valuable information. 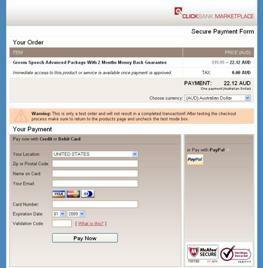 After payment you will be redirected to the INSTANT DOWNLOAD area of our website.